A letter filed Friday by the Malibu Township Council, challenges the Malibu City Council’s earlier decision to further negotiate a proposed land swap, based on allegations of Brown Act violations. 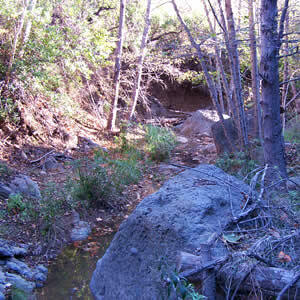 The Malibu Township Council (MTC), which functions as a government watchdog at the city, county and state levels, is against the proposed swap, which would allow the city of Malibu to gain ownership of 83 acres of Bluffs Park in exchange for Santa Monica Mountains Conservancy (SMMC) control over 532 acres at Charmlee Wilderness Park. The group alleges Mayor Lou La Monte and Mayor Pro Tem Joan House violated the Brown Act by meeting in secret with SMMC Executive Director Joe Edmiston in the lead up to the council’s Jan. 14 decision to further explore the swap. Lucile Keller, a member of the MTC board of directors, said the proposed swap seemed to deliberately avoid public input from residents and others. “The council was repeatedly warned that its decision of January 14 failed to comply with state law, and was taken hastily, unsupported by verified fact and objective analysis of the loss, the harms and the public safety risks that attend its offer to give away Charmlee Wilderness Area,” Keller said in a statement. In a phone interview with Malibu Patch Sunday, House denied the MTC’s allegations that she violated the Brown Act. Read the entire article at http://malibu.patch.com/articles/malibu-group-challenges-council-action-on-land-swap.